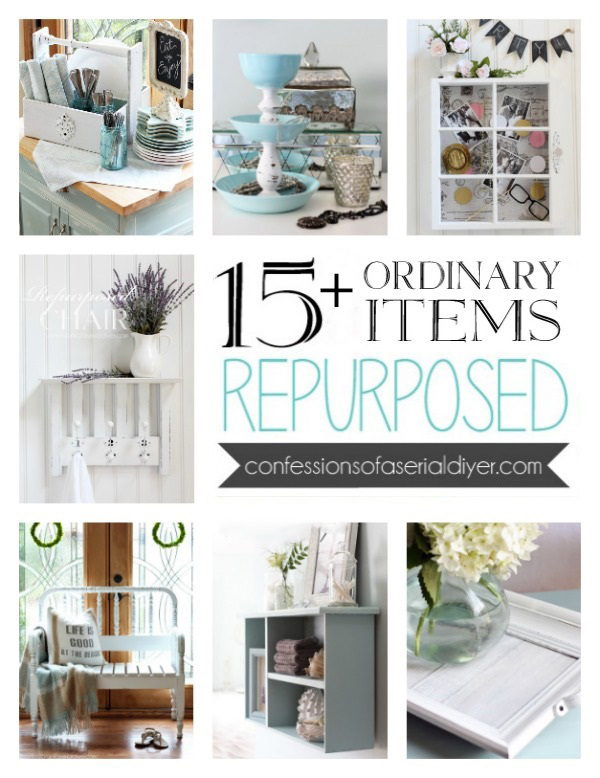 Amazing Friends, I have a super sweet furniture makeover to share today! 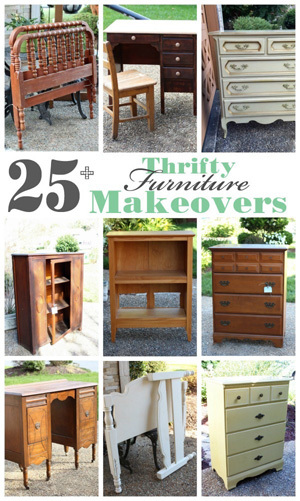 My Furniture Fixer Upper Friends and I get together the fourth Thursday every month to share furniture makeovers. They have their own transformations to share as well so be sure to look for them at the bottom! 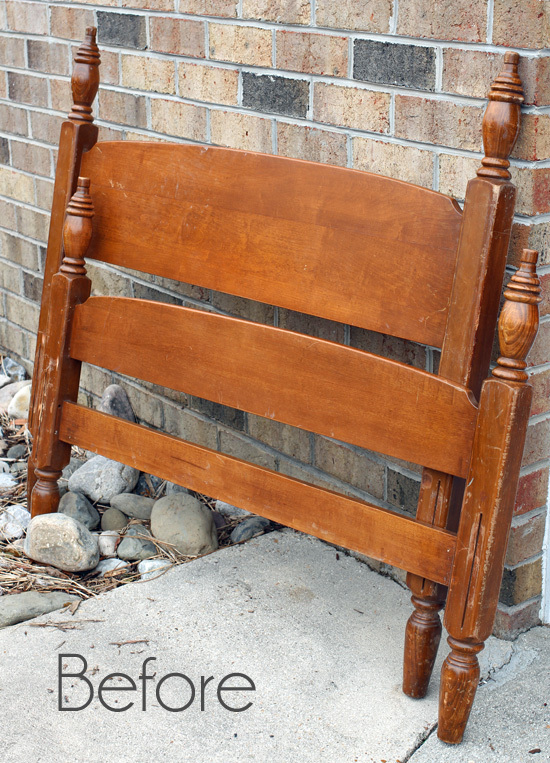 I picked this headboard up at a yard sale for $10 last Summer. How could I not bring this home for that price? I made it into a sweet bench, of course! I love how this one turned out. 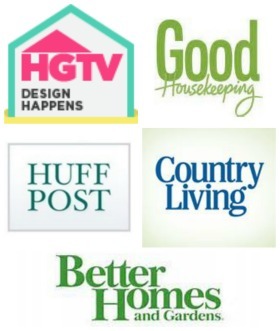 I have included a few affiliate links so you can find the products I use. 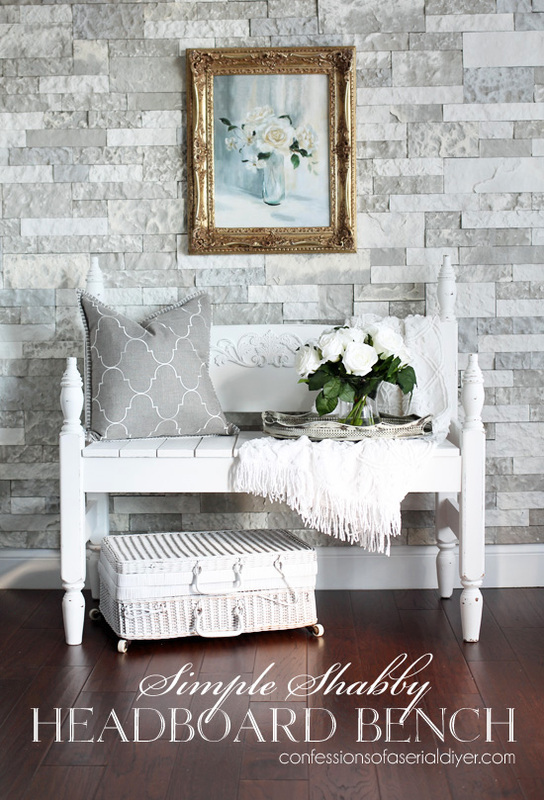 I’ll walk you through steps just in case you’re in the market to create your own headboard bench. These two pieces will make up the sides of the bench. 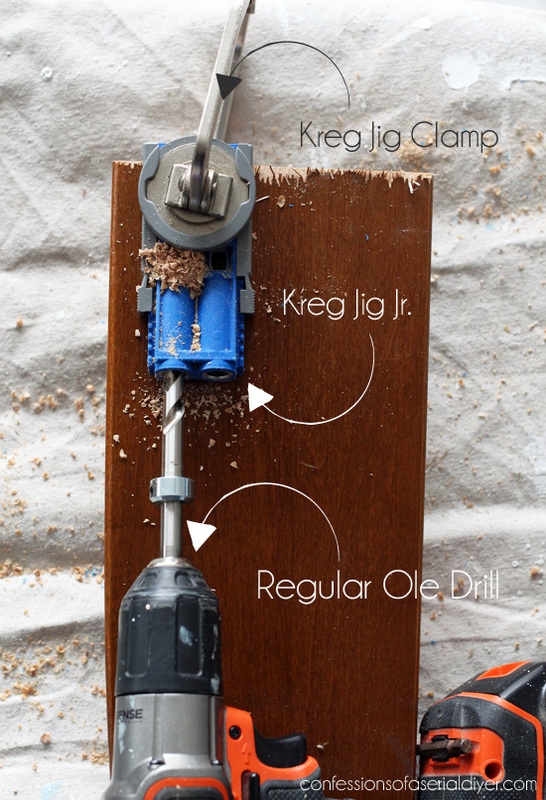 The Kreg Jig Jr kit comes with everything you need except the clamp. (Find that HERE.) 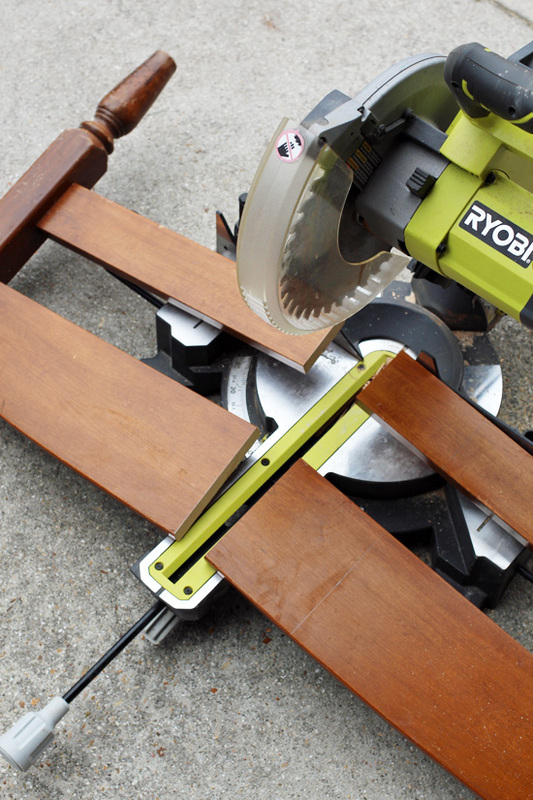 You can use a regular clamp, but this one fits the rounded piece on top of the Kreg Jig Jr perfectly. These are perfect for adjoining anything in a 90 degree angle. I was able to attach the new side pieces to the back perfectly! 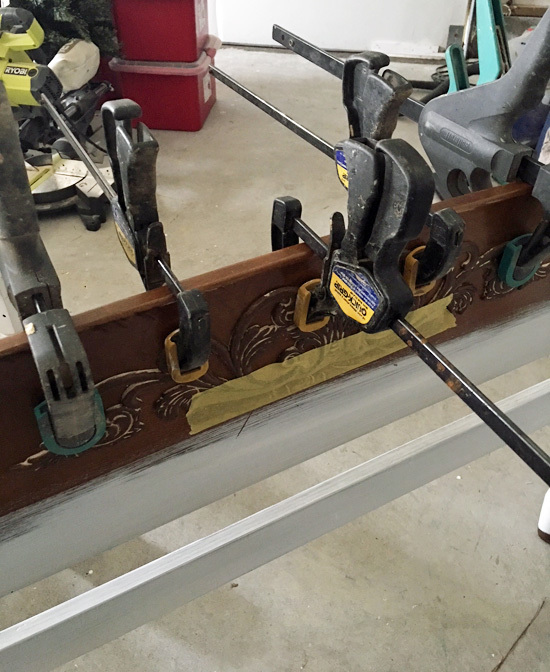 The old bed rails if you have them work great for this next step, but if you don’t have them, a 1 X 4 works fine too. 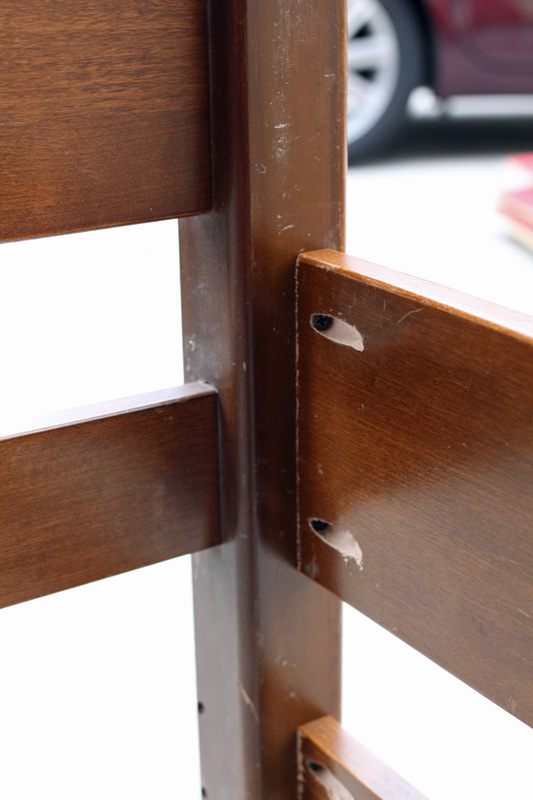 In the above photo, you can see I also filled in the pocket holes with this wood filler. 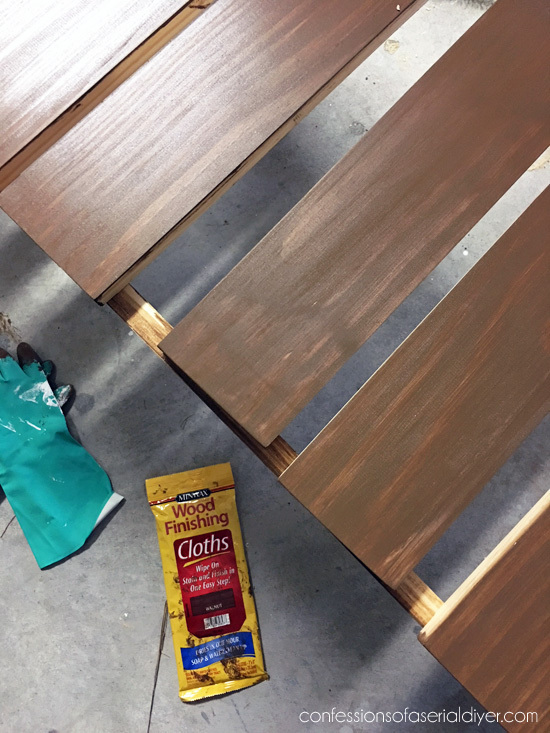 Before I painted everything, I stained the seat pieces and front piece with these staining cloths. They are water clean-up and dry in less than an hour…perfect for this purpose! 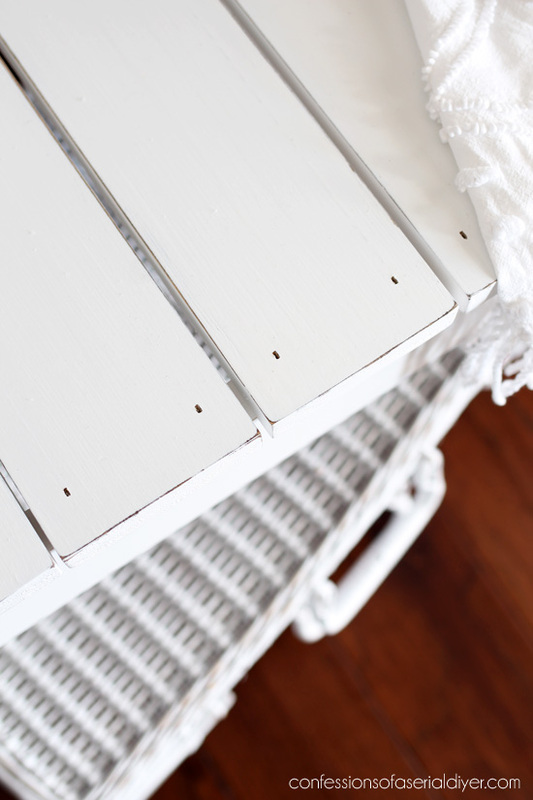 That is so when I paint and sand, you will see the darker stain coming through instead of new wood. 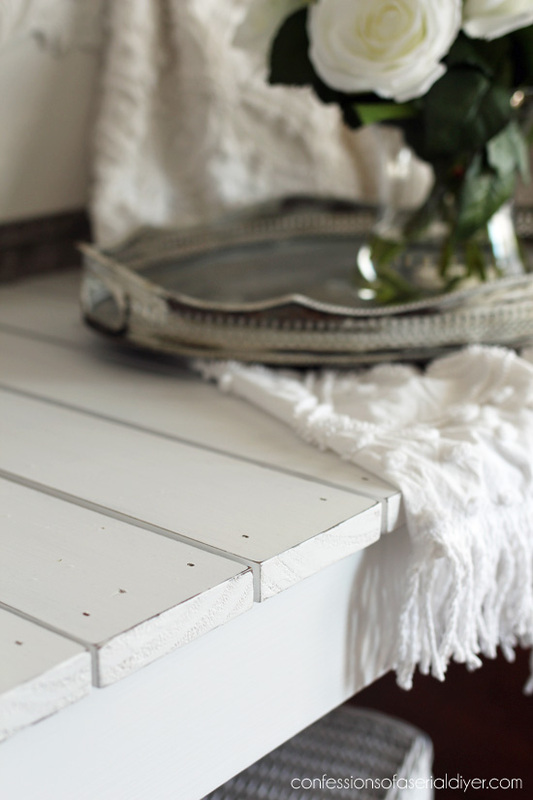 When they were dry, I painted them with two coats of DIY Chalk Paint in Behr’s Bit of Sugar. (Recipe HERE.) Then I followed with Annie Sloan’s clear soft wax. 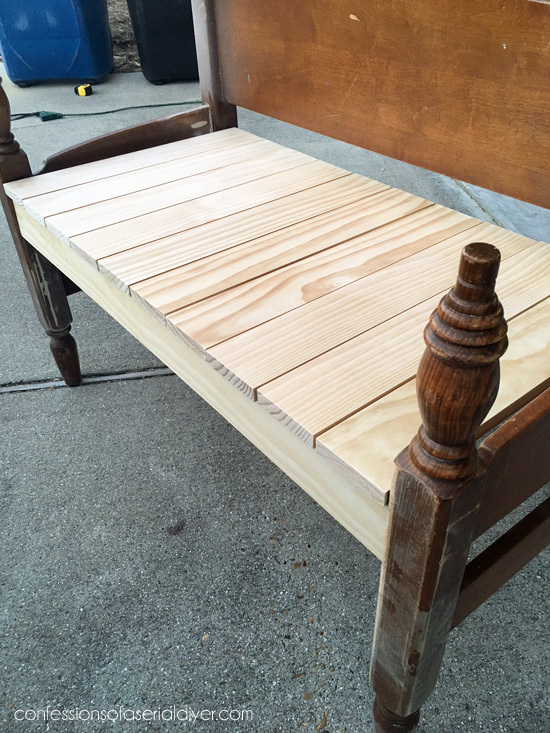 When it was dry I painted the bench in three coats of Behr’s Bit of Sugar made into DIY Chalk Paint as well, followed by a good sanding with 220 grit sandpaper, and Annie Sloan’s clear soft wax to seal. 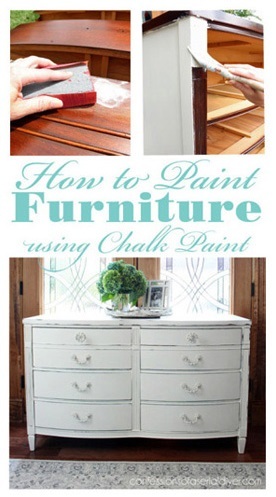 You can find my detailed chalk painting tutorial for furniture HERE. 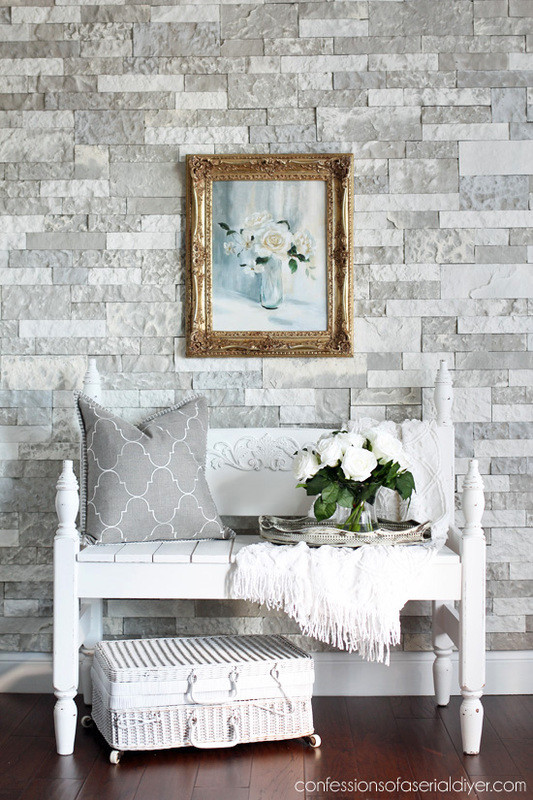 Remember my solution for inexpensive wall décor for my dining room? See how this “painting” came to be HERE. 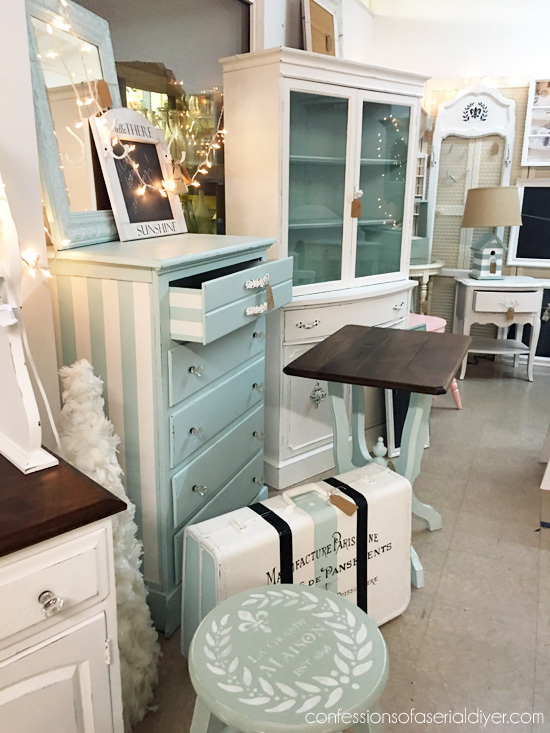 My friends are sharing their own furniture flips today as well! 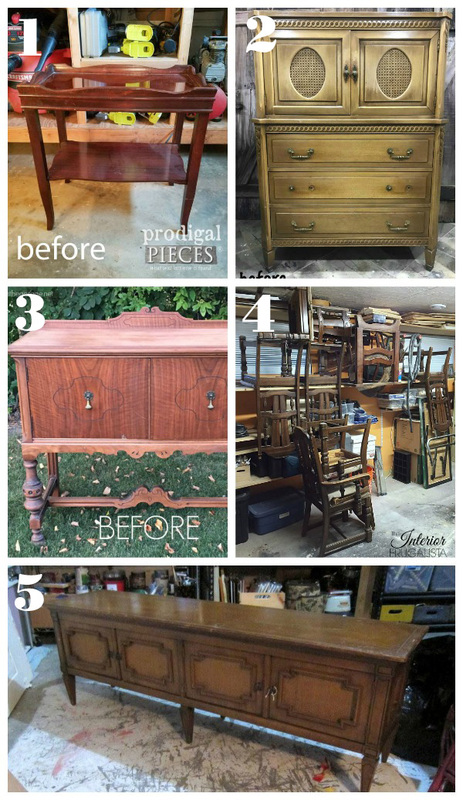 See how they transformed these treasures at the links below the image! I can’t wait to see what they did as well! See what I did with them all HERE! 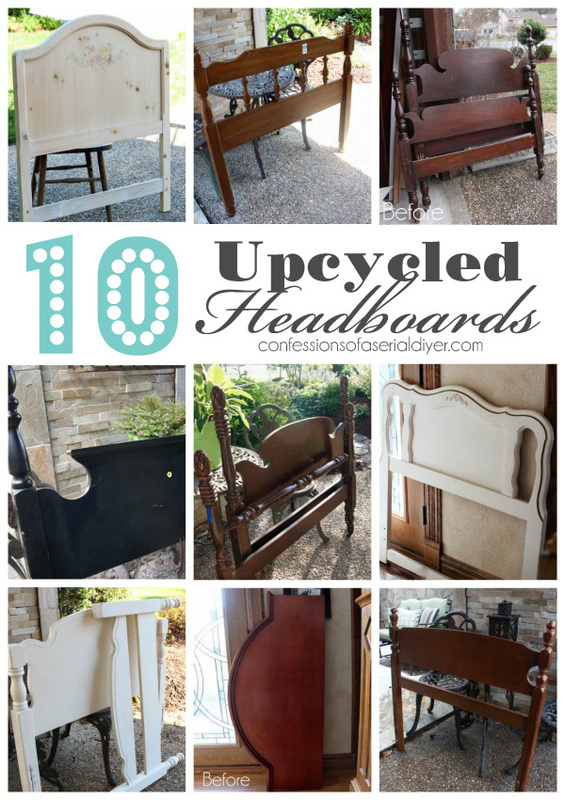 UPDATE: See what these scrap pieces became HERE now! 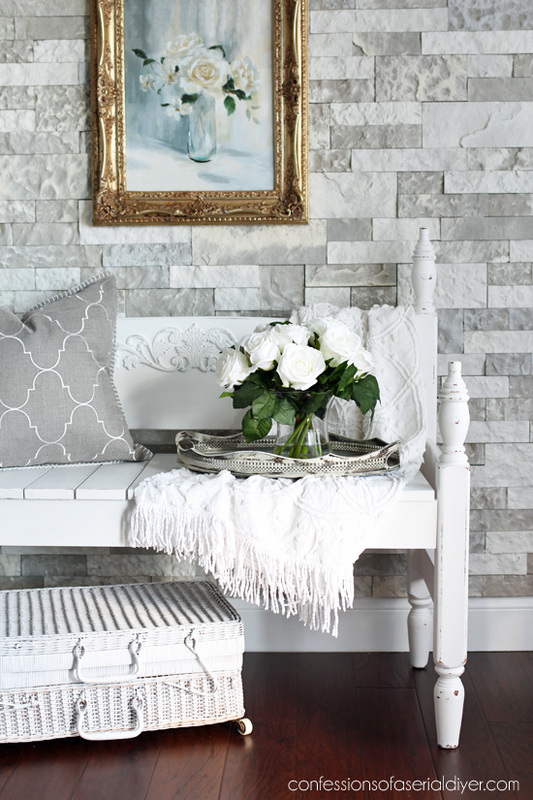 You can never go wrong with a bench in my book. This one is beautiful, Christy, and I love all the charm you added to it. It’s so pretty! Wow, beautiful makeover Christy! Clearly I have to get a Kreg Jig. 🙂 Do you use Kreg screws? Love the wood filler versus plugs. Have a great rest of your week and a grand weekend. HI Christy! 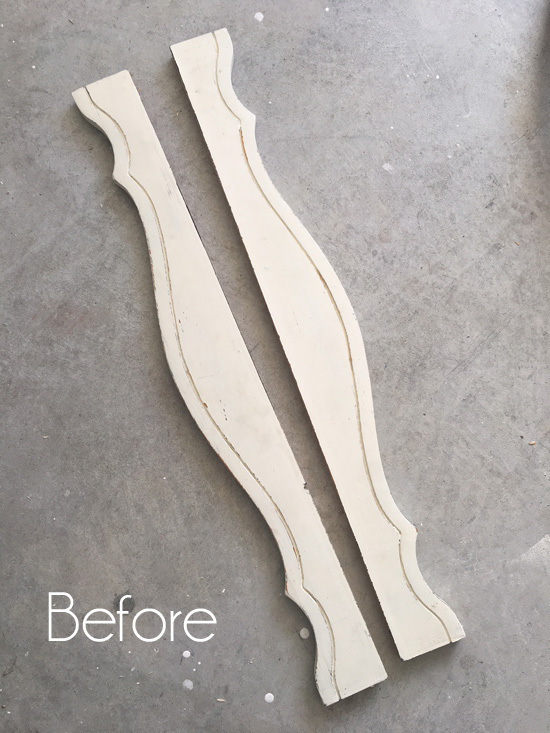 I think I’m addicted to making my own chalk paint using your recipe 🙂 I have one question; I notice if I don’t use it all and store it for a few days it gets soupy and all the plaster is on the bottom. I can’t always get it to stir up again. What am I doing wrong? 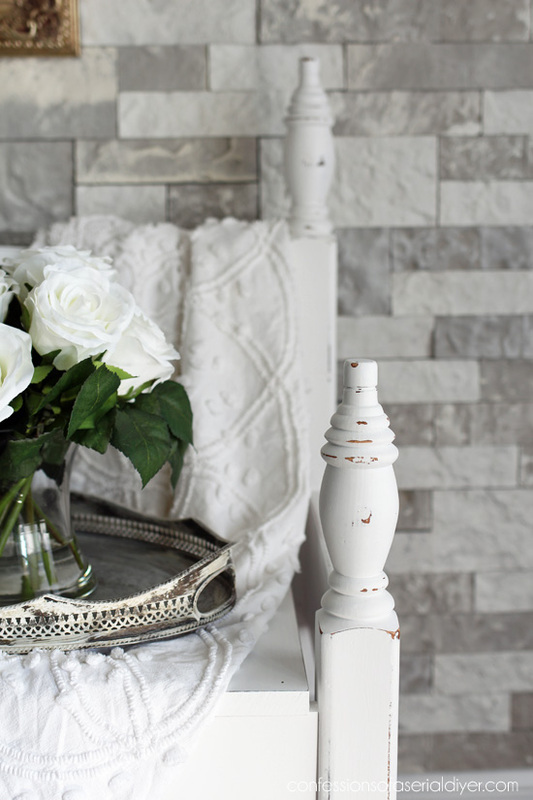 Your projects, photography & home are just stunning. Thank you for sharing your talent with us!! 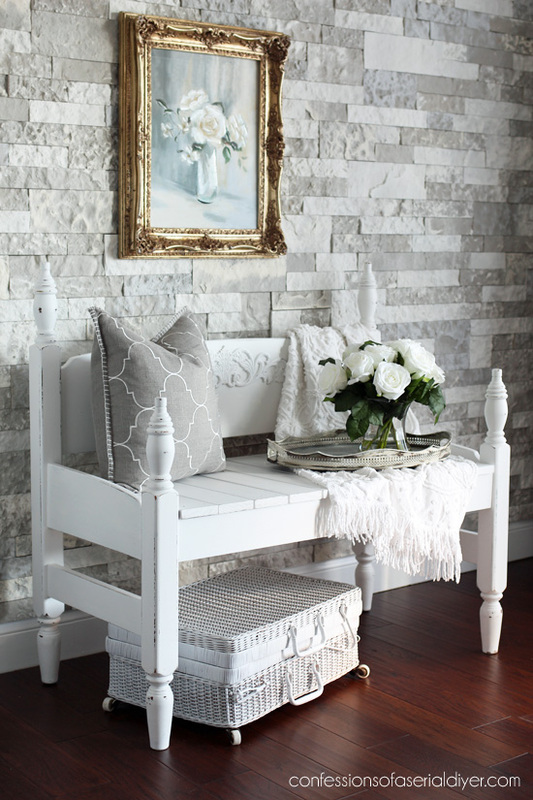 I do love using bedframes for benches! Funny, back when I had my husband make one, it wasn’t something you did. What? Cut the footboard? Ruin it? No! 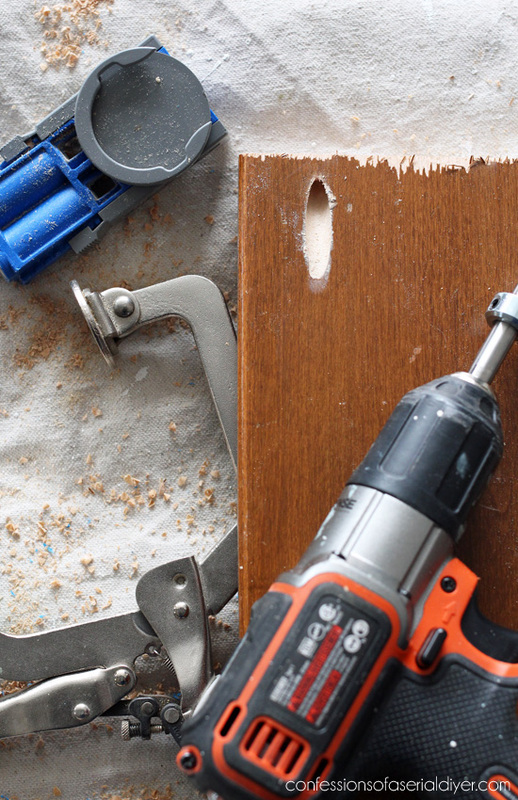 Make it into something useful instead of rotting away in someone’s storage. Anyway, it seems it is all the rage now but that’s a good thing! This one turned out great! Another marvelous bench and a beautiful setting to shoot it in. Fill that booth, Christy, this one’s going to sell quickly! This truly is a sweet bench. Also, as a heads up, I have seen the appliques like you used for detail used to cover up 80’s heart cut outs like you had on Tuesday (if they are not where you can remove them). I have my old wooden twin bed from my childhood that I rescued from my mother’s house nearly a year ago. Now I know what I am going to do with it! Woo hoo! Love this, the applique really puts it’s stamp on it. 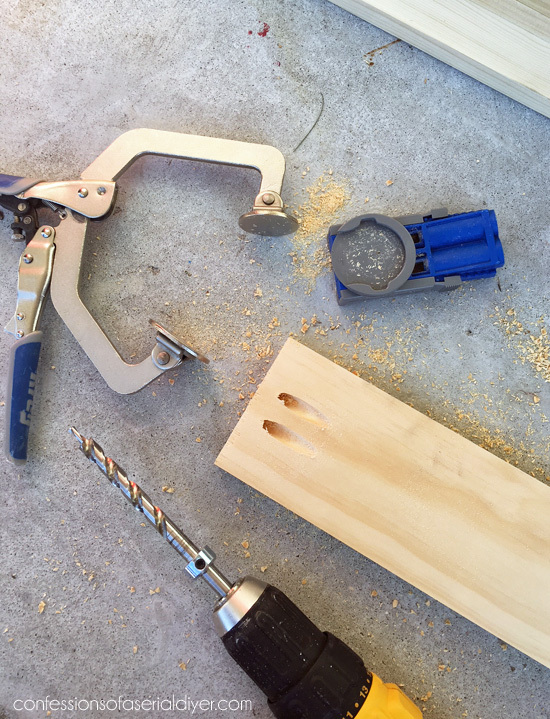 Can you use just regular nails, don’t have a nail gun. This looks perfect next to that wall, did you keep it or did it go to the shop? See you next Tuesday. I love the detail with the decorative piece. It finishes it off perfectly! Nice job! Oops! 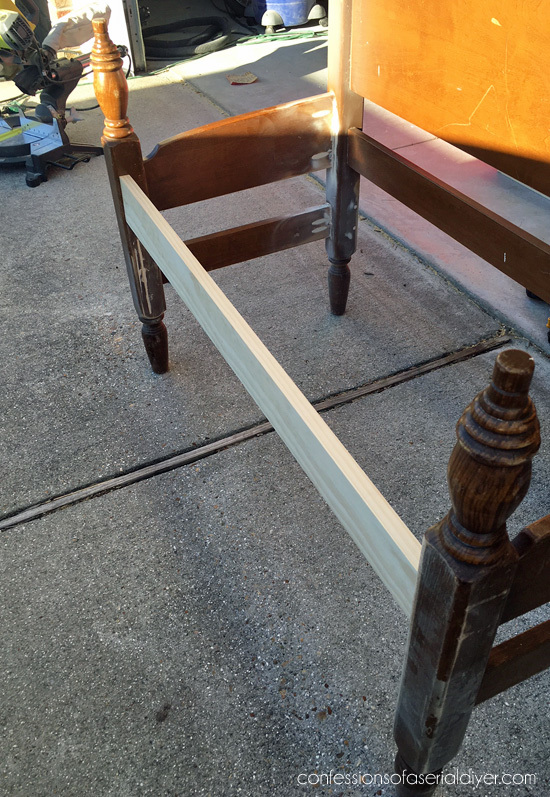 Almost forgot to add, thanks for the tutorial on how you put the bench together. I will pin this for future reference. this came out so pretty! I love the added applique! 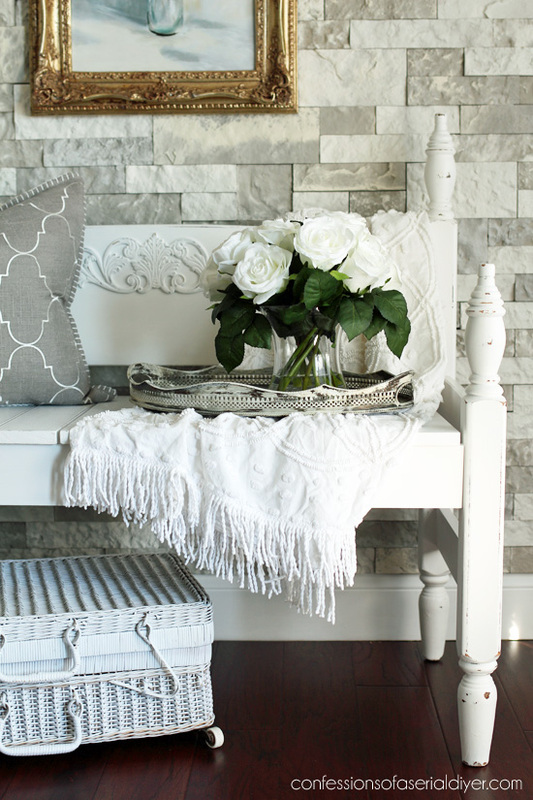 The bench is so charming! 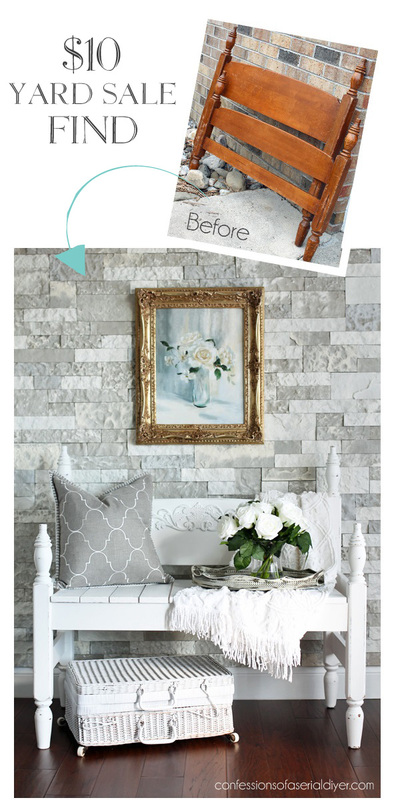 I just love this makeover. And it looks so nice in your office! Is it a keeper? Do I really need to say it again? Ok, I LOVE IT! I REALLY want to try this type of makeover. Soon….very soon! Turned out so cute. Love the applique! I really love when people make these benches. This one is particularly lovely…and all the details you preserved and enhanced make it a great piece. 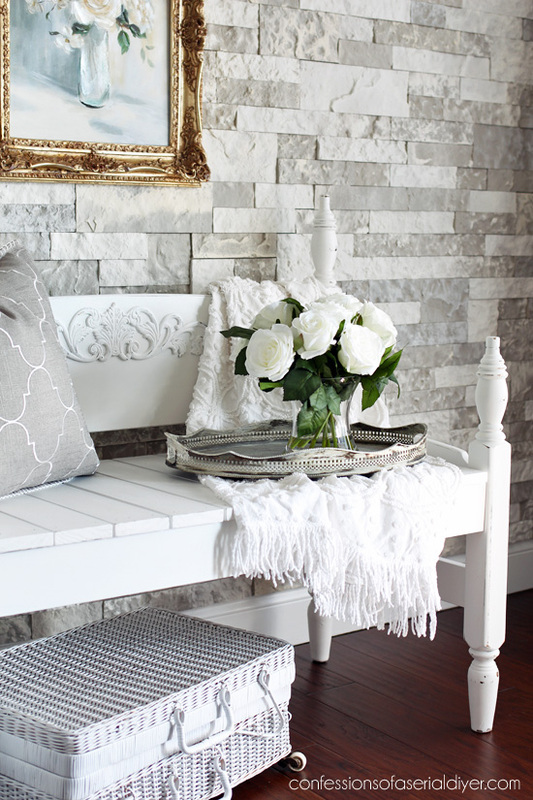 What a lovely headboard bench, Christy! The applique detail is quite lovely too. If I had room for this I would buy & have shipped just love it. You do amazing quality work! Love this bench!!!Kudos! So I was looking at the 10 Headboard makeovers and was wondering…If you make one into a sign and want to actually place it outside (not sheltered) then what type of protective sealant would be used to make it weatherproof? I also could see one of them made to be used for hanging potting (gardening) implements in a covered breezeway….. And you did a terrific job with all of them ! Just beautiful! Love the detail you added to the back… I wonder sometimes if I might need to do that to my media console. Great job, Christy… Will this be going to the booth? The bench turned out beautifully! 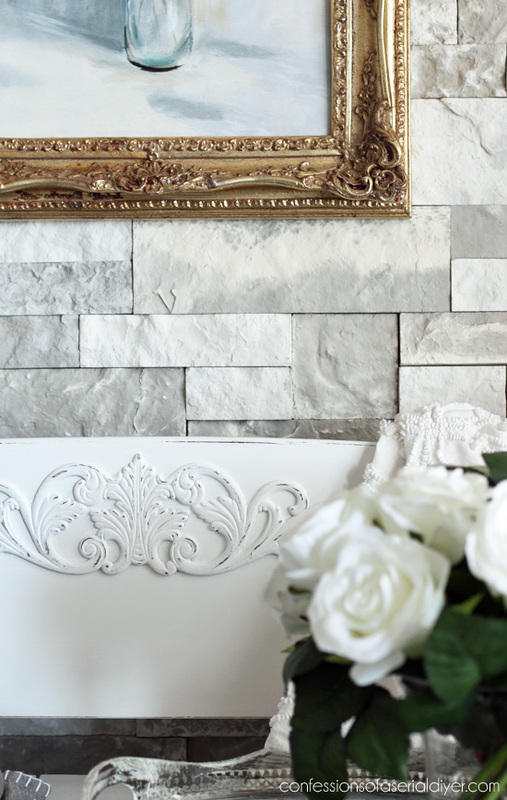 I love the decorative applique…it really adds the perfect finishing touch! 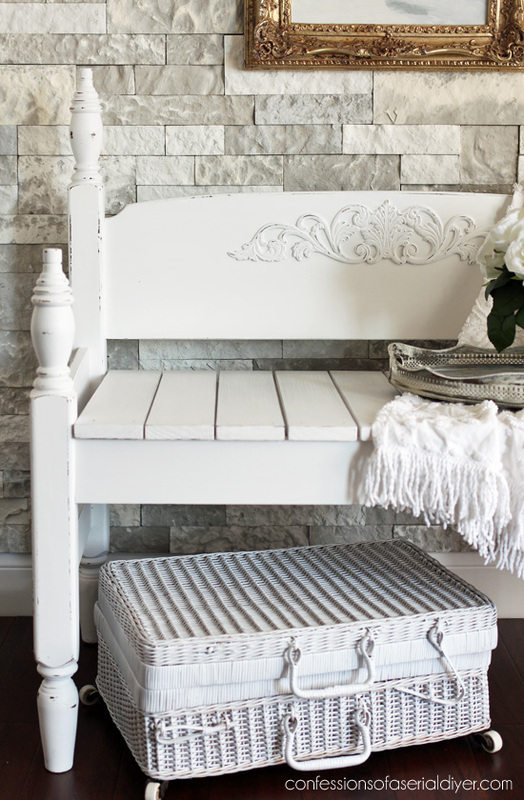 Since this is a smaller bench, was this a child's size headboard? I've seen those for cheap before but wasn't sure if they could be made into an adult-size bench. Hi Christy, I always enjoy reading your posts and your tutorials really help! Hope you’re enjoying the New Year! 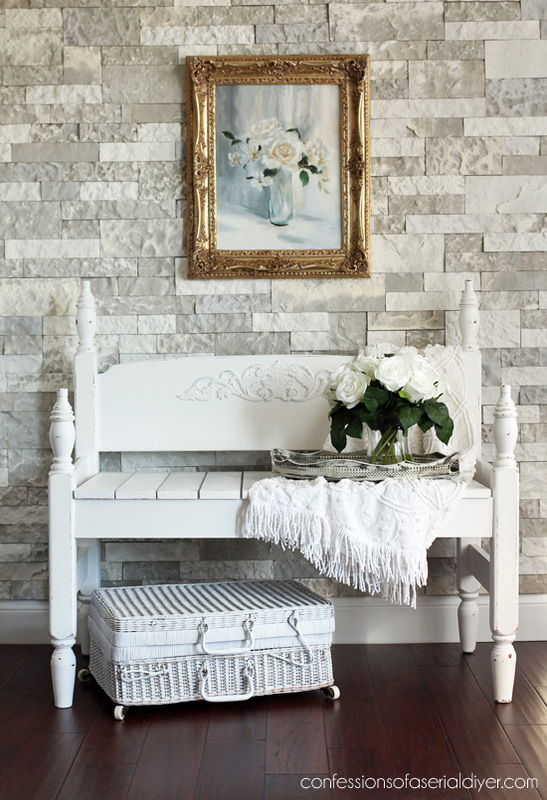 Love this bench. Could you tell me how long did you make the bench slats for the seat. 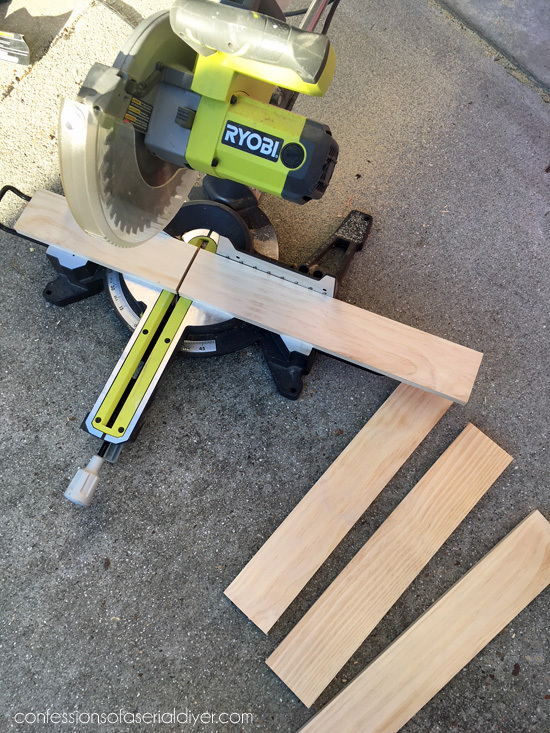 I am making a bench (inspired by all your posts) and I cut the foot board in half but looks like the bench seat itself would be too wide. Any suggestions?